The co-founders of Away chat about their revolutionary suitcase. Photographed by Masha Maltsava for Away. For a long time, luggage was a choice between style and efficiency. You could get a beautiful luggage set from a high-end designer that might not be the easiest to lug around on your travels (and could cost you a fortune) or you could find a simple rolling bag that really had nothing special going for it. Many of us were resolved to live with this choice. After all, what else was there on the market? 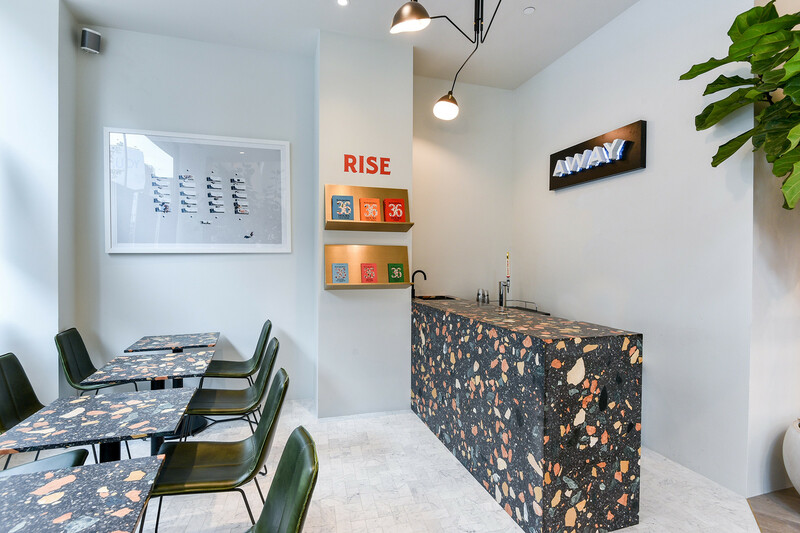 Enter Away — the brainchild of co-founders Jen Rubio and Steph Korey. You may have seen these sleek bags rolling through airports, heading into hotels, or populating your Insta-feed. In a variety of cool hues and sizes, these bags are sleek, stylish, and high-tech. Not only are they perfect for organizing your items, easy to handle with 360-degree wheels, and extremely durable, the cool carry-on collection is equipped with portable chargers to keep you connected on-the-go. Plus, frequent limited-editions collabs with celebrities like Karlie Kloss, Rashida Jones, and Dwayne Wade keep the designs feeling fresh. It's rare to see a suitcase company grow so fast. In fact, the company just received $50 million in Series C funding and has hit profitability in just two years! How does a startup grow that quickly? We asked the co-founders to share their story and chat about how the travel industry is changing in the modern world. Jen Rubio: I’ve always been inspired by the relationship between brands and consumers, and how brands are able to build communities and create an emotional connection with people through storytelling. If you’re doing that well, your company will stand for so much more than just the product you’re selling. My experience working on Warby Parker’s early social media, content, and partnership efforts showed me that a good brand had the ability to disrupt an entire industry. The idea for Away came from a personal pain point. My suitcase broke while I was traveling, and none of my most well-traveled friends had a great recommendation for a replacement. The fact that luggage was something you take on every trip, but that no one felt any deep brand loyalty for it really surprised me. So I called Steph, who had a background on the supply chain side (with both Warby Parker and Casper), and we did some digging. We quickly realized there was a great opportunity from both a brand and supply chain perspective to build the company we wished existed. About a year after I called her, Away’s first product, The Carry-On, shipped in February 2016. What did you want to change about the luggage industry when you started your business? Steph Korey: When we started researching the market, we found that luggage was either inexpensive but wouldn’t last, or it was more expensive than the trip you were planning to take it on. 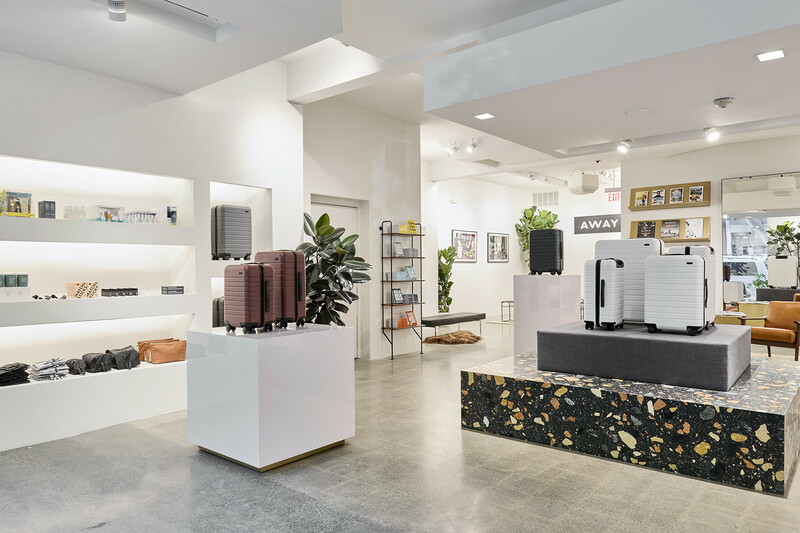 We knew that there was an opportunity to shake up the luggage category in a meaningful way, and that a direct-to-consumer model would allow us to do that by building a premium product and selling it for an unprecedented price. JR: The luggage industry as a whole was pretty sleepy before Away; luggage brands were talking about things like the zippers and the wheels, but none were talking about travel. 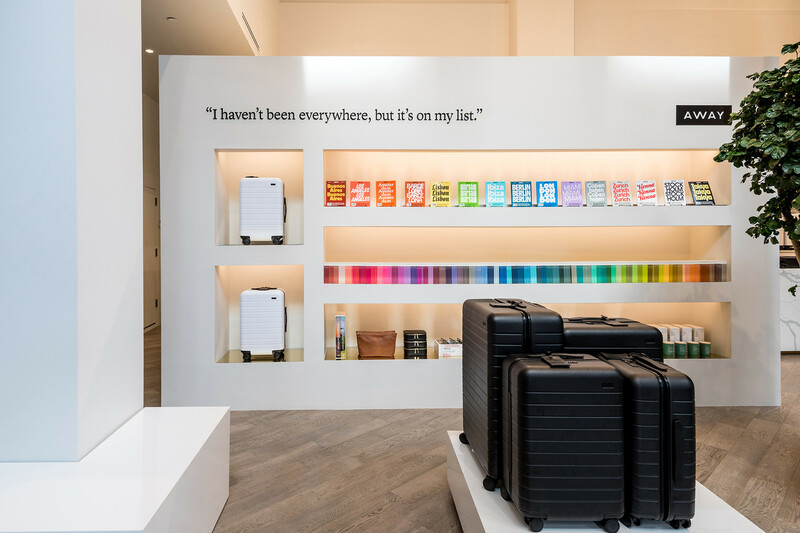 We recognized an opportunity to tell a more interesting story, and built our brand around a broader narrative about travel, one that got people excited about what they could do with their luggage and where they could go with it. Design collaborations have been a huge part of your model. Did you plan on doing these from the beginning? JR: Partnerships have been part of our brand strategy since the beginning. We’ve always recognized the opportunity of working with partners to be able to add an extra layer of storytelling and creativity, while also reaching new audiences. It’s about aligning ourselves with people who love to travel or brands that have a unique perspective, and figuring out how to create products and experiences that bring those things to life in a way that neither partner could necessarily do alone. From a design standpoint, our suitcases are clean and simple — they’re essentially a blank canvas for great design, which makes them perfect for partnerships because we can create something that’s unique for each collaboration and in a way that’s authentic and true to our partners’ travel stories. Getting funding is really difficult for many female founders thanks to a very male-dominated VC world. Can you share your experience navigating getting your startup launched? SK: It still surprises me that brands led by women make up only 4% of all the companies that receive VC funding. I’m glad that Jen and I didn’t pay too much attention to those statistics, as I think it could have been easy to get distracted by everything that could go wrong rather than to stay focused on all that could go right! I’d encourage other women (and entrepreneurs, broadly) to try to take the emotion out of the fundraising process as much as you can. It’s an inherently emotional process, but staying focused on everything you have to offer and the long-term vision for what you’re building, will give you the necessary perspective. I hope that my and Jen’s experience can be an example of what happens when women are given the chance to lead. I believe that one of the best ways to improve the stats against female entrepreneurs is for more female entrepreneurs to prove those stats wrong and to tell our stories — the better we do, the more investors will have to rethink their preconceived notions of what an entrepreneur looks like. JR: For Steph and I, confidence was key throughout the fundraising process, and my advice for other women is to remember that you’re pitching an opportunity for the potential investor. It’s not a favor they’re doing for you. It’s also crucial to surround yourself with people who truly understand your vision and what you’re trying to build. Some just won’t, but ultimately, we were grateful for the ones who turned us down because the ones who did get it didn’t need much convincing. With your new series C funding, how do you hope to see Away change and grow? SK: I think there’s a misconception that raising a bunch of money will necessarily launch your business forward. For us, we’ve always viewed fundraising as a necessary component to building the business, but it’s about so much more than that. I’m proud that our existing investors committed additional funds so that we can continue to build the business and give our customers what they’re asking for. Today, our goals remain the same as they did before we raised the additional capital: to make the perfect version of everything people need to travel more seamlessly, and to inspire more people to do it. This round just gives us the additional runway to achieve that even faster, whether that’s by expanding our availability around the world so that we can reach more of our international customers, or opening new retail locations to give more customers a way to experience the brand in real life. We’re also thrilled to be growing the team, creating 249 new jobs over the next five years, moving the team into a new 56,000-square-foot Global Headquarters in Manhattan this fall. Jen has been making some pretty incredible design choices and I can’t wait to see everything she has in store. What has been your favorite part of running Away? JR: It’s impossible to choose just one! I have a genuine interest and love for so many parts of the business, and my favorite part is that I can be involved in so many different projects that fuel my passions and creativity. Every day is a new and exciting challenge to tell our story and connect with new people all over the world. Both Steph and I (and the entire team at Away) share a deep love for travel, so we’re inspired daily by the ability to share that excitement through this amazing platform. SK: I’ve loved being able to help build and motivate a great team, and work to create a culture where everyone feels empowered to do their best work. It’s been amazing to work with such talented and hardworking people who believe in Away’s mission as much as Jen and I do, and to coach people as they become great leaders themselves. We know that our team is our biggest asset, so we’ve prioritized creating a space where they can continue to be successful and do great work for years to come. Where do you see the travel industry heading in the next few years? JR: There’s so many parts of the travel experience that can be improved, whether it’s what you travel with, how you actually get there, or what you do once you’ve landed. My vision is for Away to be a big part of creating those solutions, and of defining where the future of travel is heading. I think we’ve already seen a major trend toward consumers valuing experiences over things, and I think we’ll continue to see people venture outside of their comfort zone to explore new corners of the world. I think Away has an incredible opportunity to help frame how people think about travel, and I deeply believe in its ability to enhance people’s lives for the better. There’s so much more we can do — luggage is just the beginning!